This Irish cap is adjustable; one size fits most adult heads. 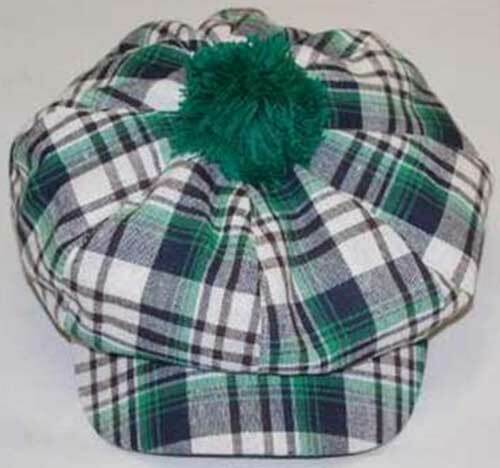 The 100% acrylic green plaid Gatsby hat features a snap brim and it is just one of the many Irish caps that are available at The Irish Gift House. Irish cap features a built-in drinking meter.